In this week's episode David and Kyle discuss the winners of the 69th Writers Guild Awards (1:45) and of the 59th Grammy Awards (13:25). 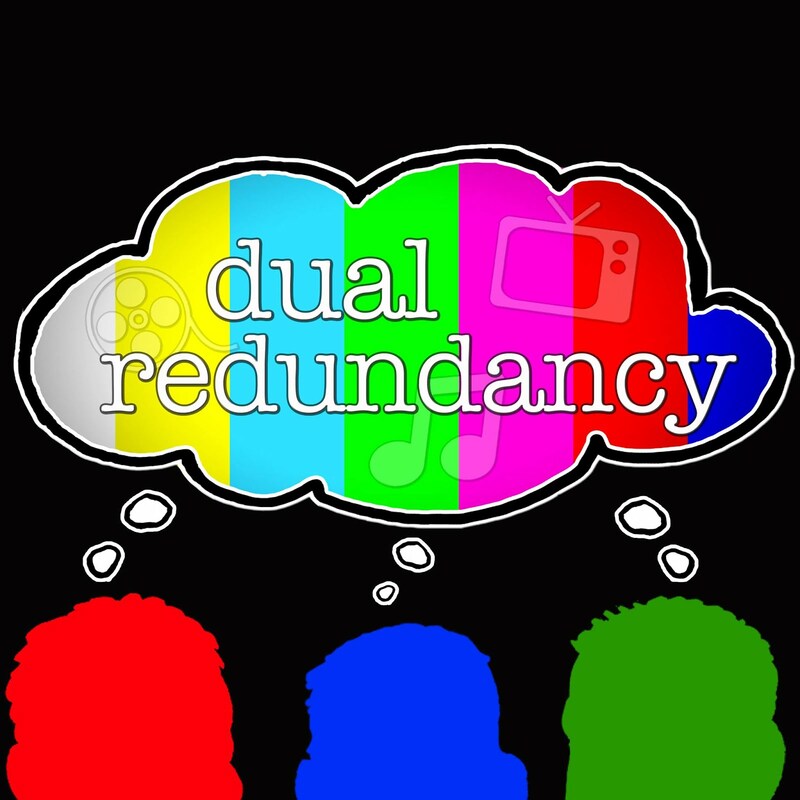 They also discuss Katy Perry’s unique song release strategy (17:35), Monopoly’s token voting contest (21:30) and how a film used fake news for promotion (29:25). 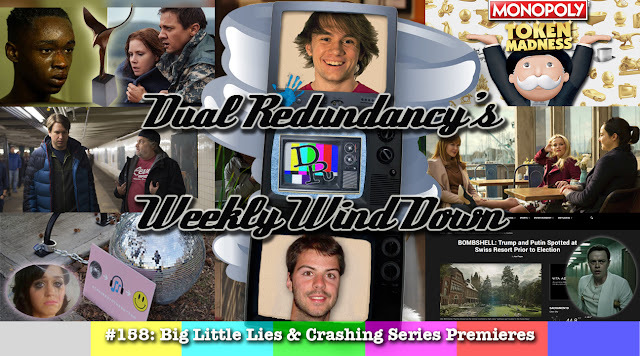 Finally, we review the series premieres of Big Little Lies (36:45) and Crashing (48:40). 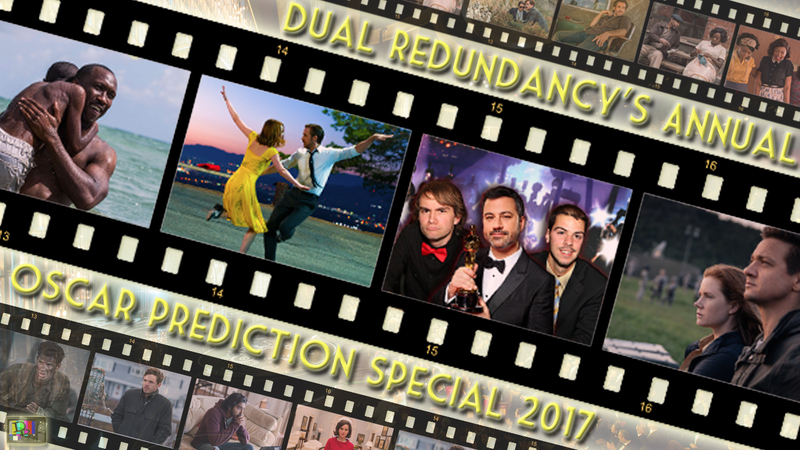 In this week’s episode David and Kyle try to predict the very unpredictable Oscars in a very special episode of Dual Redundancy. 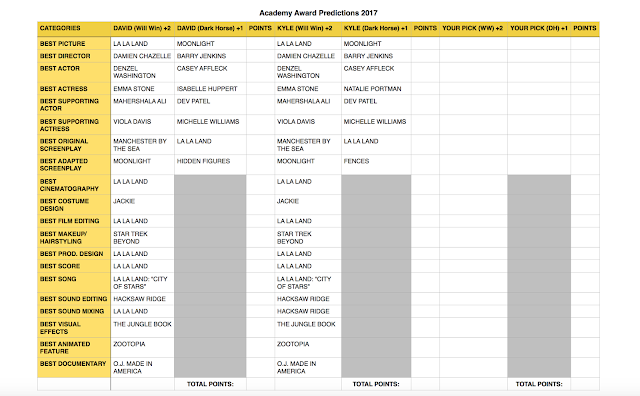 This year they try and forecast who will take home the Oscar in all the major categories for the 89th Academy Awards. We discuss how host Jimmy Kimmel will do (2:25) and provide some Oscar nomination facts (4:40). We then discuss (in order) best adapted screenplay (15:00), best original screenplay (19:35), best supporting actress (23:45), best supporting actor (29:45), best actress (35:40), best actor (42:20), best director (47:05), and best picture (52:40). The 89th Academy Awards are on Sunday, February 26th on ABC and will be hosted by Jimmy Kimmel. In this week's episode David, John and Kyle discuss how Universal wants 50 Shades Darker marketed (2:00), why the company behind The Founder is suing over the movie Gold (9:00) and an internship auction at The Weinstein Company (16:30). 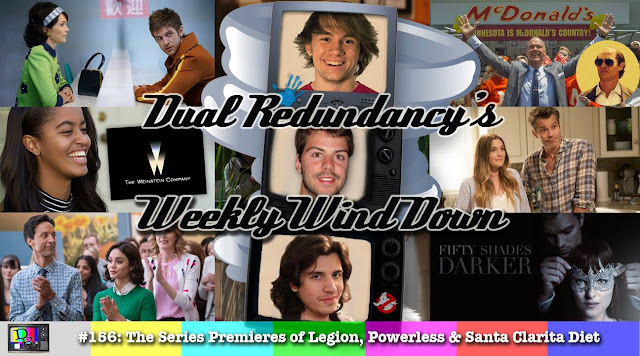 We also review the series premieres of Legion (21:50), Powerless (32:30) and Santa Clarita Diet (43:50).